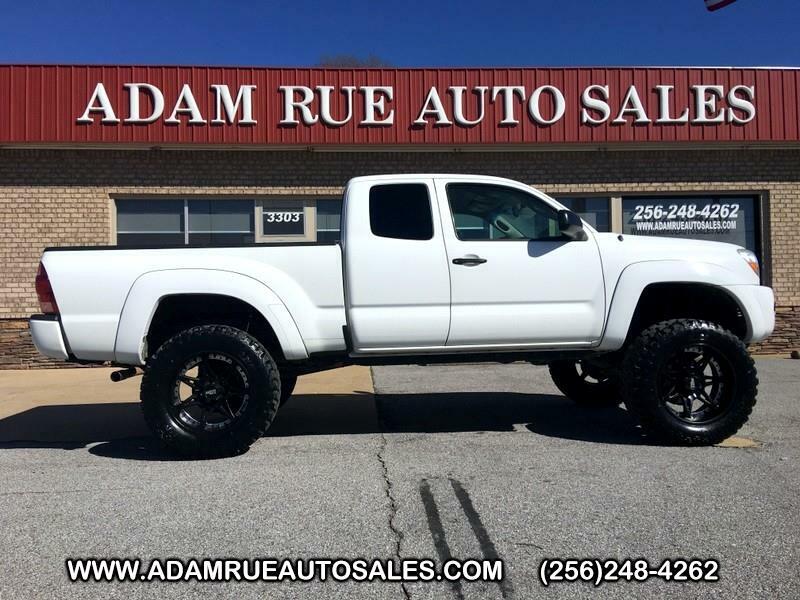 Adam Rue Auto Sales is honored to present a wonderful example of pure vehicle design... this 2008 Toyota Tacoma PreRunner only has 122,659mi on it and could potentially be the vehicle of your dreams! You can tell this 2008 Toyota Tacoma has been pampered by the fact that it has less than 122,659mi and appears with a showroom shine. The Toyota Tacoma PreRunner will provide you with everything you have always wanted in a car -- Quality, Reliability, and Character. You could keep looking, but why? You've found the perfect vehicle right here. More information about the 2008 Toyota Tacoma: Competition is tight in the mid-size pickup segment, and Toyota's 2008 Tacoma responds by offering impressive versatility, including the ability to configure a pickup with either on-road or off-road capability in mind. PreRunner versions add a 4x4 look and ride height to a 4x2 drivetrain, and the X-Runners pair a sport-tuned chassis with the 236-horsepower V6 engine. Additionally, Toyota Racing Development (TRD) Off-Road and Sport packages are available on most V6 models to upgrade either trail or pavement performance. Interesting features of this model are composite cargo bed., Toyota build quality, and configurable for on- or off-road performance Thank you for considering Adam Rue Auto Sales! We are proud you are here. Our dealership is focused on making your buying experience as pleasurable as possible. We understand how difficult it can be finding the perfect vehicle. Our staff has been in this business many years and are trained to be professional and courteous while assisting you. After all, you are the reason we are here. We want to be a little different than what you will find down the street. We stock quality vehicles and look forward to treating you like family.